We go beyond industrial testing procedures, testing under extreme conditions, for Strength, Durability & Functionality is one of our passions. We will not except faulty products. Any products that don't meet our strict guidelines are abandoned. What clamping pressure can i apply? 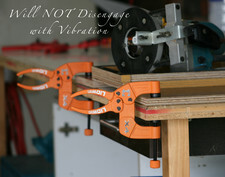 With conventional clamps it's quite cumbersome to apply an amount of pressure. The Lidwig clamps can apply over a 100kg of pressure locking & releasing with only one hand. Who can use the lidwig clamps? There are many industries currently using the clamps in various applications. Tradesmen are using the X7 for basic welding, industrial welding, construction and also woodworking. 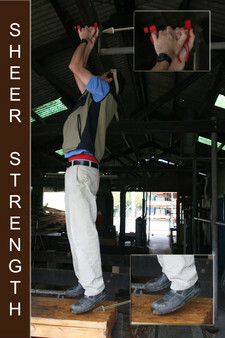 The X6 is used for all the hard to reach jobs. The X5 is used in all arenas from welding to woodworking, craftsmen, furniture manufacturing and the DIY. The X4 is also used by woodworkers, kitchen installers, welders, construction, craftsmen and the DIY.